Features: 1. Material: Nylon. 2. 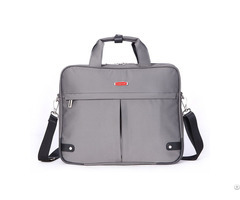 Fashion, comfortable, backpack for 15.6 inch laptop. Payment term: 30% deposit, the balance paid before shipment or against B/L Copy. FOB Port: SHENZHEN Advantage: 1. High quality & competitive price & excellent service. 2. With large production capacity. 1. Inspecting the material after the material arrived warehouse. 2. Inspecting the leather pieces after die cut by mould. 3. Inspection the coating and stitching during the production process. 4. Final inspecting the finish product before packaging Shipping Time: Rougly 30 days, we would sent the goods out by sea or by air express for customer choose. Sample Time: Within 5-7 work days. Sample Cost: Sample charge will be returned to customers after the order confirmed and reached our MOQ. 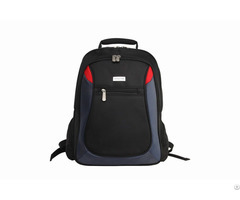 Business Description: We are professiona in making laptop bags and backpacks. We have engaged in this industry for more than 10 years. Now we have more than 100 staff and 6 professional production lines.